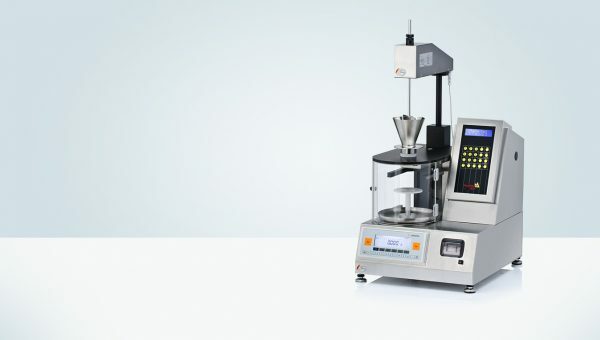 PT-TD300 is used to test the tapped (or “tamped”) density and apparent density of powders, granules, pigments and similar products in compliance with the current USP <616> methods 1 and methods 2 as well as with EP <2.9.34>, DIN EN ISO 787-11 and ASTM B527. 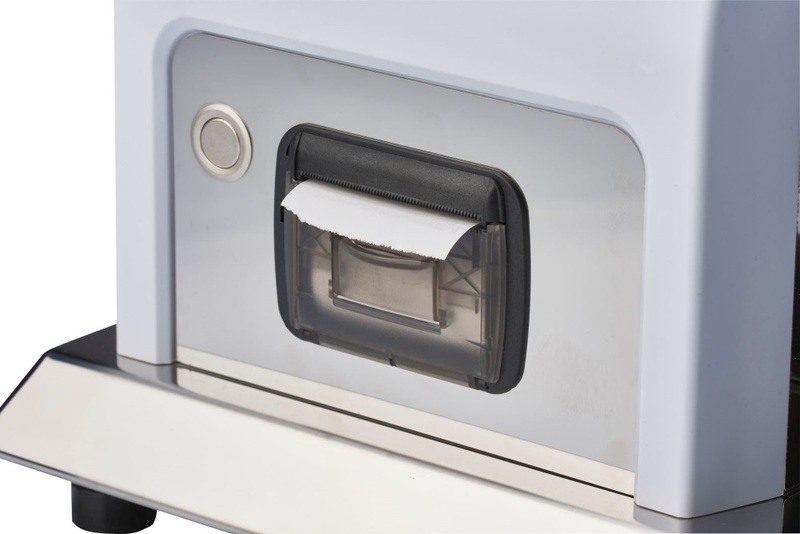 The instrument automatically calculates the tapped density, Hausner flowability ratio and Carr compressibility index after each test and documents the results via the integrated protocol printer. The bulk density of powders is usually reported both as “freely settled” and “tapped”. 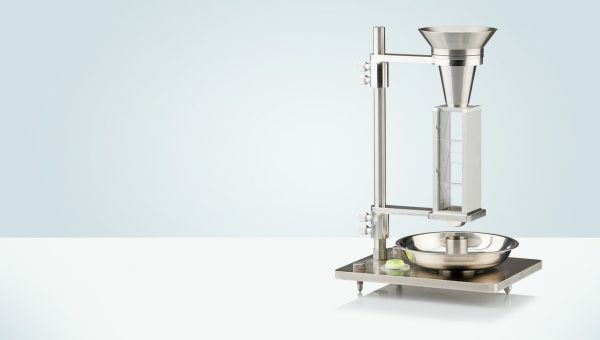 The tapped density refers to the bulk density of the powder after a specified compaction process, usually involving tapping motion of the product cylinder. The instrument can be used to derive additional physical product characteristics such as flowability and compressibility. Together these behavioural characteristics are used to maintain and improve product quality during development as well as securing product consistency in quality assurance and in-process control. 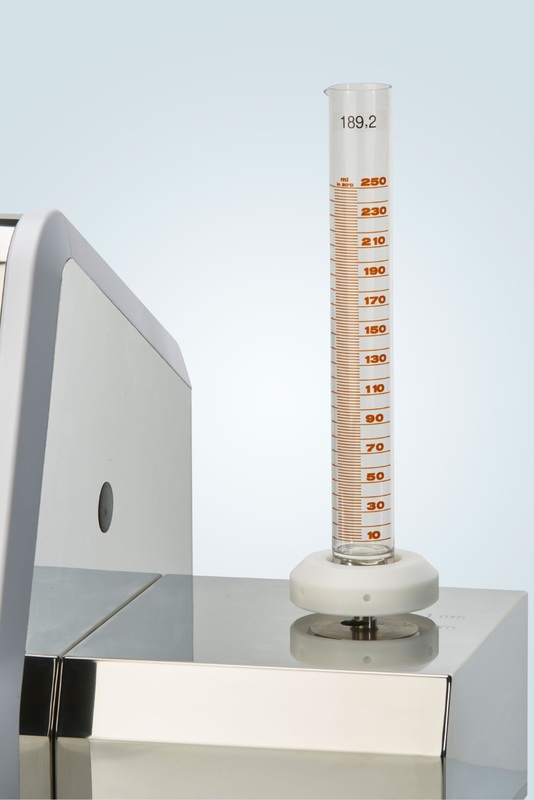 The standard test cylinder volume is 250ml. Sets to test smaller volumes of 100, 50, 25 and 10ml are available as well. As per USP <616> the sample is initially tapped 10, 500, and 1250 times (strokes). The volume of the tapped sample is checked and another 1250 tap test follows. 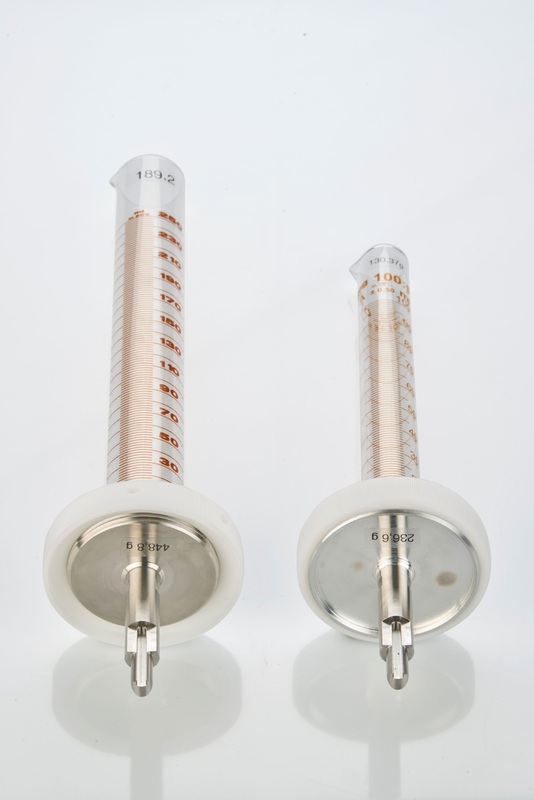 This procedure is repeated in case the volumes at 500 taps (V2) and 1250 taps (V3) differ by more than 2ml. This result is used to calculate the tapped density. The ability of the powder to settle is calculated as the difference between V1 and V2. Tapped density is expressed in g/ml and calculated as weight divided by volume. Furthermore the instrument automatically calculates the Hausner flowability ratio and Carr compressibility index. 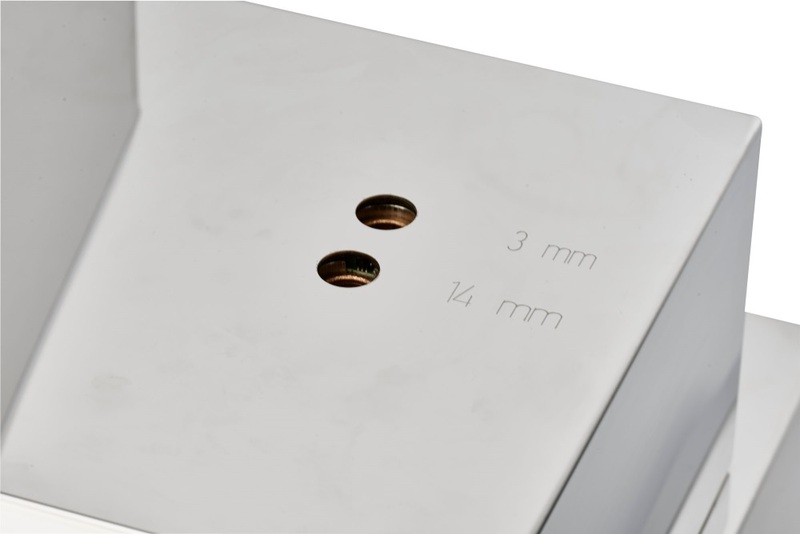 The Hausner ratio is used in a wide variety of industries as an indication of the flowability of a powder. It is related to the Carr index, which is an indication of the compressibility of a powder. According to these indices the results are evaluated (excellent > good > fair > passable > poor > very poor > very, very poor). PT-TD300 is operated by using a click wheel to navigate menus on the LCD screen and by functional keys to shortcut frequent operations. The display is backlit in changing colors that show the instrument status in a familiar traffic light system (green, yellow, red). Navigating the menu is quick and simple. The color-changing display makes it easy for the user to see when his input is required to proceed. 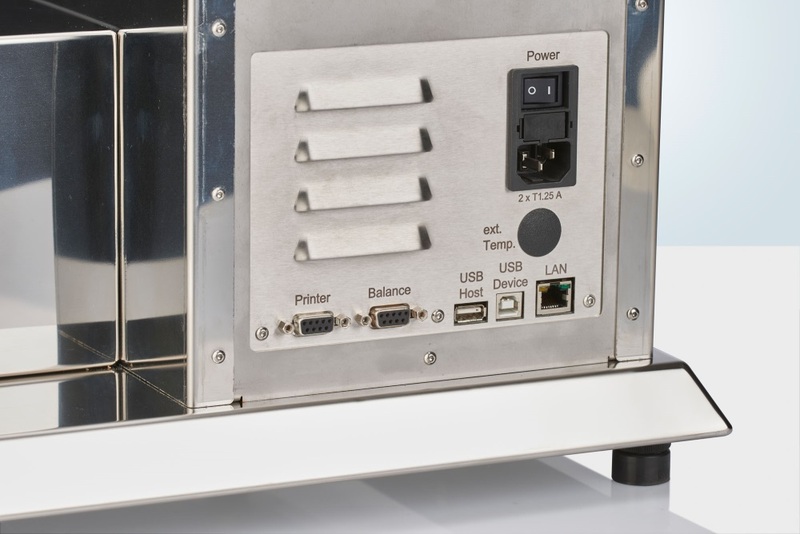 The instrument has a method and a user management system. Methods can be programmed, edited and stored directly on the instrument. Users can be created and assigned different user levels according to their roles (administrator, operator, calibration technician). Access to the instrument is protected by a login with username and password. Optionally a quick test menu can be accessed without logging in to the instrument first. This way tests can be performed with the instrument in case user access control and testing according to defined methods is not required. A USB flash drive can be connected to the instrument to save and load methods in .csv-format. Print-outs can be stored as text files. Furthermore instrument firmware updates can be installed and factory settings be restored by using the flash drive without the need for any PC or programming tool. PT-TD300 features dedicated calibration programs for tap number, tap height, tap frequency, weight measurement and timer function. The user is guided through each step of the calibration and a report is printed automatically. The reports are saved on the instrument and can be printed at a later time as well. A programmable qualification interval timer reminds the user to perform the instrument calibration once it is due. Each time the instrument is turned on it performs a quick self-check to ensure it is ready for operation. The result of the self-check can be documented via the integrated printer as well. Hausner ratio and Carr index are methods based on empirical data and not on scientific research. Their merit is therefore not universally agreed upon. 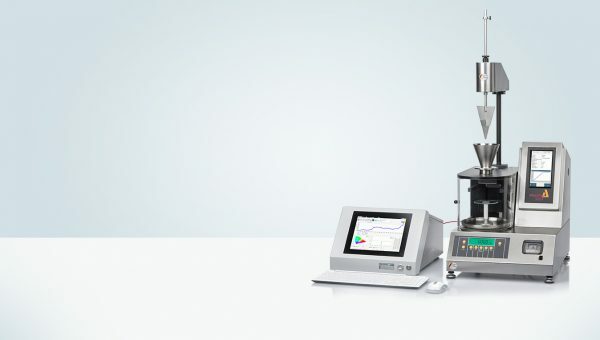 For USP/EP recognized results of flowability Pharma Test offers the alternative PTG-S4 powder characterization instrument. To determine apparent density the PT-SV100 Scott volumeter is available.